Thames Side has significant experience in the design and manufacture of load cells for use at high temperatures (up to +150°C continuous use). Additionally, we have an ideal load cell, Model T38, for high temperature environments within steel plants and foundries, for example ladle turret and ladle ferry scales, scrap buckets, roller tables, tundish cars and silo/ hopper weighing systems. 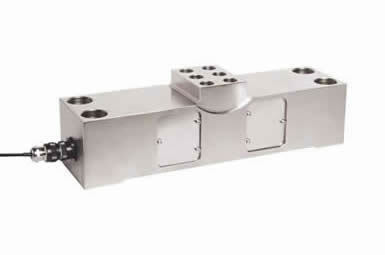 The Model T38 load cell has excellent accuracy and long-term stability. Installation is simple and fast. Also, there is no need for any tie-bars or holding rods thus maintenance requirements are kept to a minimum with this optimised design in order to be a "fit-and-forget" solution. Contact Thames Side Sensors India to discuss your requirements for high temperature load cells in any application. We have the experience and applications knowledge to provide expert guidance on the optimum solution for you.